Rock climbing Joshua Tree can be one of the most rewarding physical activities available to a person. But it is also incredibly challenging, because it demands a lot from a person physically and mentally. It is for this very reason why rock climbing Joshua Tree is preferred by many adventurers who wish to enjoy themselves while keeping fit: rock climbing is a complete body work out that can also build character. Many climbers liken rock climbing Joshua tree to skydiving, which is an appropriate comparison given that they both require physical and mental fitness, while using special gear and equipment in order to mitigate the inherent risks of the activity. In fact, the two activities have some overlap with regard to equipment. The main advantage of rock climbing as an activity is that there’s no pressure to go outdoors if you are not ready. Rock climbing can be practiced indoors, under which the environment is more controlled and safety equipment is most effective. But once you are ready to brave the outdoors, it is still a good idea to hire a guide from Uprising Adventure Guides. Having a veteran and trained climbing instructor will optimize your training, letting you learn all the ropes much faster while also having someone around to watch your back. It also helps that Uprising Adventure Guides are some of the friendliest people you will ever meet, so the learning process will be fun and devoid of boredom. 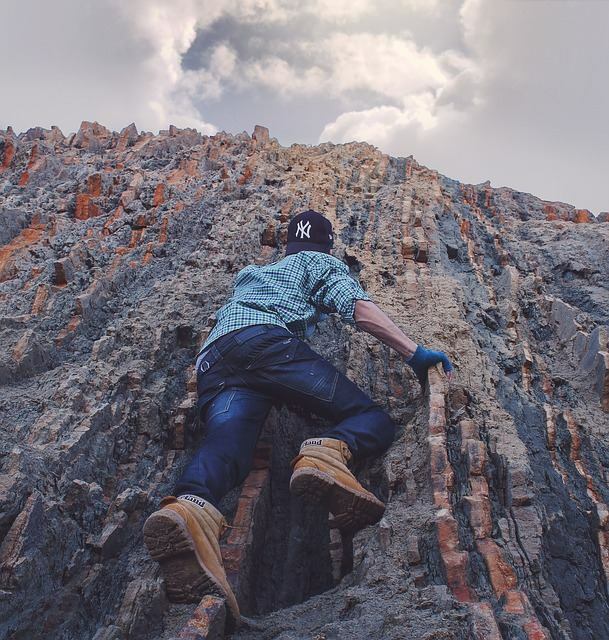 While you can technically learn rock climbing on your own, you get a much better and safer experience if you have Uprising Adventure Guides’ skilled instructors guiding you. You get to learn the proper climbing techniques, and avoid making novice mistakes. You also get advice on the right equipment, and they know the places that will be suitable for your skill level. Climbing routes are not created equal. Some are easy enough for novice climbers while the other end of the spectrum consist of routes that would be dangerous for any one who is not a skilled climber with years of experience. The United States uses a rating system that assigns a numerical value ranging from 1 (easiest) to 5 (hardest). Uprising Adventure’s Guides know the Joshua Tree Park enough to understand the routes’ ratings and which ones are suitable for you. So before you get on your van and make the long drive to Joshua Tree National Park, contact us first and we’ll be happy to match you with the perfect rock climbing guide.